Welcome to Part II of my 3 part blog series. Now that you have successfully identified startups to partner with, it is time to establish success metrics for the partnership. These metrics should be included as part of the contract you sign with the startup to establish key milestones. Before we jump into the process of defining key performance indicators (KPIs), I’d like to highlight a few best practices you should take into consideration when partnering with startups. Set clear dates to understand what isn’t in project scope—This will help the startup stay focused on building the optimal solution for your organization. Recognize the value proposition startups provide and work with them to build a specific solution — To that end, avoid scope screen when working with the startup to build your solution. You should work with them on the initial problem you identified. For additional requests, we suggest keeping a log and revisiting them with the startup if you decide to continue the partnership. Build strong relationships with your procurement, legal, and compliance departments— You should build strong relationships with your legal, compliance and procurement teams to successfully guide startups through your organization. Shorten procurement process — We strongly recommend setting up a separate onboarding process for startups if possible. To go a step further, you could create a dedicated team solely focused on onboarding startups to your organization. Outsource if needed—If your organization is equipped to facilitate a certain aspect of the partnership (i.e. you don’t have an in-house engineering team) you should consider outsourcing the task to help overcome your lack of expertise. When establishing KPIs, we recommend defining an overall partnership success KPI before looking at product-specific KPIs. This will help you understand if the partnership is optimally solving the problem at hand. You should be extremely precise in what you are trying to achieve. Take Facebook for example, they are a community platform trying to connect people, so Facebook’s primary KPI could be “Number of Connections Made”. 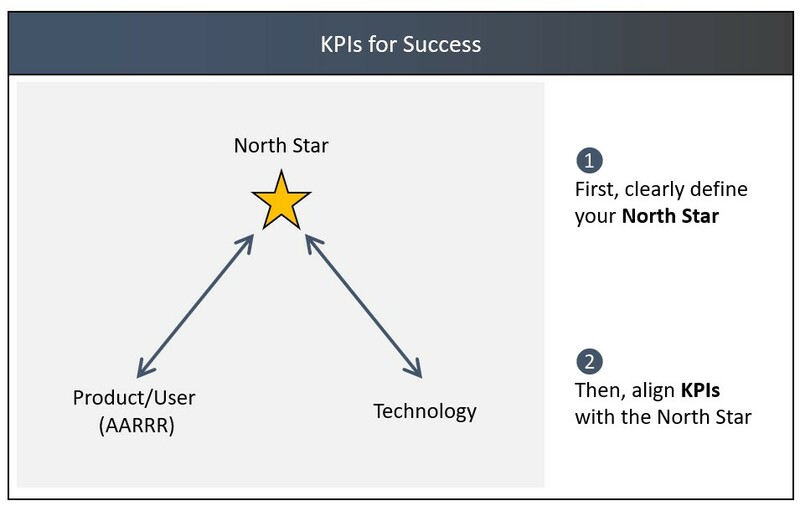 Some product managers may call this metric a product’s “North Star”, the one key metric you base your entire success on. This is an extremely important metric, so spend time on really understanding what you are trying to achieve by partnering with this startup. After defining your partnership’s key success metric you can begin thinking about product-specific KPIs. We recommend looking at product-specific KPIs through two different lenses. First in terms of the user, and second from a technical point of view. First, you will need to understand where you acquire users from, where along the user journey people fall off, and how often people use your product. Additionally, you will want to gauge people’s perception of your product, and how you can monetize the product in the future (if desired). Next, you will want to understand how your product is performing from a technical point of view. Some questions you could ask are “Is my product optimally solving the problem at hand in terms of human resources and steps required?” Or “Is my solution able to handle most edge cases?” By asking these questions you will know if your product build is successfully on track. To assist in defining KPIs Quesnay relies on the AARRR framework. 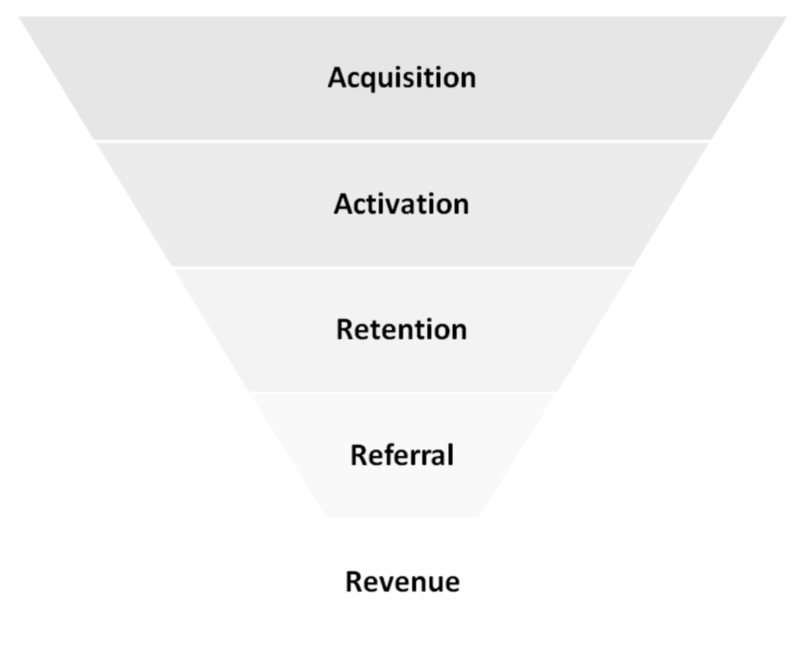 Acquisition —How are you acquiring users? Word of mouth, specific online channels? When looking at this you should understand what your customer acquisition costs are. Activation — The moment customers understand the value your product provides. A good proxy is account set up. If users are dropping off, understand where and why this is happening. Retention — How frequently are users logging in? Are they logging in once and never coming back or are they dropping off after a specific point in time? Identify the specific point in time and engage your users accordingly. Referral — Are users willing to recommend your new product to a friend? To do this you can use Net Promoter Score. There are multiple APIs in the marketplace you can use to do this. Revenue — Is your product producing revenue for the company? This may not be a current objective of yours, but it is important for you to consider if you plan on monetizing your product in the future. As I mentioned in the opening paragraph, you should incorporate KPIs while holding contract negotiations with the startup to establish key milestones. In terms of which KPIs you decide to use, you can use all or some of the KPIs mentioned here. This really depends on what you are trying to develop. Lastly, The KPIs you decide on are not set in stone and can be adjusted in the future depending on the partnership’s results. This is a subject I will discuss further in Part III of my blog series. That is all for Part II of this series. In my last and final post, I will walk you through the process of successfully building and launching your product with a startup. Interested in learning more about Quesnay’s services? Click here to contact us.